The jargon utilized by the legal system can be overwhelming. Some basic definitions are warranted for review (141). A plaintiff is the person who alleges malpractice. The defendant is the laparoscopic urologic surgeon, an assistant, and possibly the hospital where the surgery was performed. A complication is some difficulty, problem, or change in the patient's health that is unintended. Negligence is the failure to exercise the degree of care considered reasonable under the circumstances, resulting in an unintended injury to the plaintiff. Damages are the estimated valuation of the injury sustained. Informed consent is the process, whereby the patient is informed about treatment options, alternative treatment modalities, the risks of treatment, the benefits of treatment and must provide for the answering of a patient's questions (142). For many patients, the occurrence of a complication automatically demonstrates negligence. The primary defense of a laparoscopic surgeon to an allegation of lack of informed consent is documentation of adequate informed consent. The medical record can be the surgeon's best friend or worst enemy. It behooves the laparoscopic urologic surgical practitioner to understand fully the requirement of adequate informed consent (143). Although persons other than the surgeon may obtain the patient's signature on an informed consent document, may hand out educational pamphlets, and show videos of surgical decision making, the surgeon must go through those obligatory steps just outlined and would be well advised to document it all in the patient record. The issue of complications rates and trends in laparoscopic surgery are far more advanced in gynecology and general surgery than they are in urology (134,144-146). In fact, there have been little published data on complication rates following laparoscopic urologic surgery because series have tended to be small, follow-up still is short, and multi-institutional collaborations are just beginning to report. Laparoscopic complications can be grouped into those that are generally related to laparoscopy (access, exit, pneumoperitoneum injuries) and those that are specifically related to the procedure (laparoscopic nephrectomy, laparoscopic radical prostatectomy, etc.). It is important to note that procedural-related complications should be independent of the approach, thus unique to the operation being performed. This is important because an individual who has an unusually high procedural-related complication rate indicates an error in judgment or technique. Current trends from malpractice databases indicate that injuries general to laparoscopy are in the minority of lawsuits, under 25%, and declining (146). Knowledge on trends in complications serves two purposes; it allows the surgeon insight into the problems encountered by others practicing similarly. It is obvious that if you are aware of possible complications, you are more apt to try to prevent it from occurring. Legal counsels recommend four steps to lower your litigation risks. First is secured via a thorough informed consent. Second is communicative clarity with the patient. Third is demonstrating concern for the patient's medical condition. Fourth is mastering technically difficult procedures. The legal implications of any reasonable patient implies that if a surgeon lacks familiarity with a given endoscopic procedure, it is advisable to inform the patient that this is the first time the surgeon is performing the procedure. The risk of laparoscopic malpractice in general surgery centers around three specific complications in 90% of cases: bile duct injury, perforating bowel injury, and major vascular injury. Currently, about two-thirds of laparoscopic complications are bile duct injuries during laparoscopic cholecystectomy and though interesting for those curious about injury, injury prevention, malpractice issues, and preventative mechanisms, there is little significantly relevant to urologic discussions; so attention will be focused upon the remaining 34% of laparoscopic injuries. Currently 12% of injuries are bowel related, 10% are vascular, and 11% are other injuries. In this other category includes a hodgepodge of various complications including fistula formation (2%), burns (2%), retained gall stones (1%), retained foreign body (1%), and others (ureteral or bladder injury, incidental splenectomy, etc., 6%) (21,26). Because most surgeons still utilize the blind Veress needle method for pneumoinsufflation because the risks are quite small, the primary common access complication is from the initial trocar access. Blind trocar insertion injuries can probably be eliminated or significantly reduced if open insertion techniques are utilized. It has been estimated that the surgeon automatically reduces risk to the patient by 20% by utilization of open laparoscopic access. Open laparoscopic access does not eliminate injury to underlying viscera and vessels, but it reduces the probability (147). Informed consent is derived from judicial decisions and not statute. One exception is New York Public Health §2805-d enacted as Chapter 109 of the New York Laws of 1975 (148). A person facing the prospect of surgery must be aware of the untoward side effects that are known to result from the proposed surgical procedure, the intended beneficial effects of the proposed surgical procedure, and the alternative reasonable ways to address the patient's problems. These risks, benefits, and alternatives must be discussed with every patient or the patient's legal guardian in order to insure that informed consent is secured. The problem with these terms comes in the derived method of interpretation. The court differ on how much information must be divulged to each patient in order to make each decision informed? The early rule was that a physician had to disclose what a "reasonable doctor" would provide under the circumstances. Later, courts required physicians to disclose what a "reasonable patient" would wish to know before making a decision (149). Informed consent cannot be obtained from the patient who is impaired such that the patient lacks capacity to give consent (150). Certainly, it is not wise for a patient to be asked to sign the consent form in the operative holding area (151). Most laparoscopic urologic surgeries are thought of as elective procedures. Therefore, the time afforded the patient to make an informed decision should be documented. With information provided to the patient and family well in advance, the patient may pose questions, confer with other physicians, or ask for a second opinion (152). This ideally minimizes the duress experienced when the consent is obtained. When patients are minors or incapacitated, discussions should be held in the same fashion with the patient's legal guardian. In the case of an emergency, the physician must inform the patient to the best of his ability and within the constraints of time and the patient's severity of illness (150). It should be remembered that there are three varying perspectives that alter negligence: the patient's, the doctor's, and the lawyer's. Legal counsels recommend four steps to lower your litigation risks (134). First is secured via a thorough informed consent. Second is communicative clarity with the patient. Third is demonstrating concern for the patient's medical condition. Fourth is mastering technically difficult procedures. The legal implications of any reasonable patient implies that if a surgeon lacks familiarity with a given endoscopic procedure, it is advisable to inform the patient that this is the first time the surgeon is performing the procedure (54). Some would advise with common knowledge about the "learning curves" of various laparoscopic operations that the patient deserves to know how many the surgeon has performed (154). The risks of laparoscopic urologic surgery are changing. In 1987, Weinberg et al. (155) were the first to suggest that practical experience and the number of complex ureteropyeloscopies represented a fundamental variable in the number and seriousness of complications. 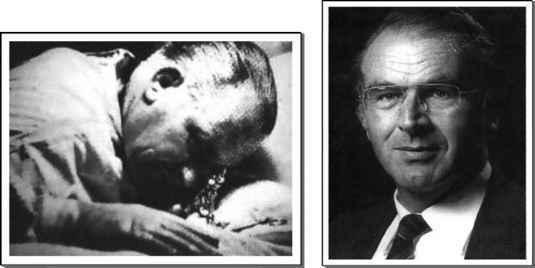 They noted that in centers where greater than 50 ureteropyeloscopies were performed per year the success rate was noted to be 84%, whereas if less than 20 cases were done the success rate was 78% (all stone removals). Major ureteral injury in this review was 4.4% with total complication rates of 10% (including postoperative fever). Complications were twice as likely to occur at centers where fewer than 20 cases were performed versus centers that did more than 50 cases (155). Whether these same trends apply to laparoscopic urologic surgery is not yet known. The abundant surgical literature would support this claim that the complication rates do go down as the number of cases the surgeon performs increases. 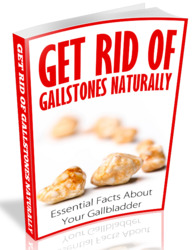 How to remove Gall Stones naturally.